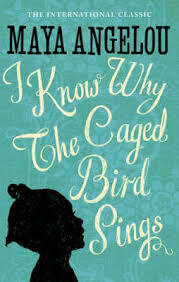 A summary on I Know Why the Caged Bird Sings examine the first volume in Maya Angelou’s autobiography series. The first volume in Maya Angelou’s autobiography series, I Know Why the Caged Bird Sings, first published in 1969, tells the story of her formative years. Telling the story of her life from the ages of three to seventeen, Angelou writes of her struggles against racism growing up in Arkansas. Young Marguerite, called “Maya” by her brother, comes to realize that most of her problems are the result of the racism of her neighbors. While still quite young, Maya and her older brother are sent to live with their grandmother and disabled uncle, abandoned by their parents. Momma, as the children call her, owns a local general store, which provides some level of material comfort, but they are still subject to daily racist taunts and treated less than human. When she is eight, her father takes her to St. Louis, but leaves her with her mother, where Maya is raped by her mother’s boyfriend. Acquitted of the crime, he is nevertheless murdered by Maya’s uncles, which causes Maya to withdraw and remain mute for many years. It is only after being sent to San Francisco, where Momma hopes Maya can escape the racism of Stamps, Arkansas, that Maya begins to come alive again, finding joy in studying dance and drama. She becomes the first African American female streetcar conductor. However, a sexual encounter with a boy in high school leaves her pregnant, a condition she hides from her family throughout her senior year of high school. Angelou and Walker - Maya Angelou and Alice Walker term papers discuss two of the most famous African American Women Writers. Importance of Family- Importance of Family term paper examines how this aspect is incorporated into two African American writers Maya Angelou's and Antwone Quenton Fisher's pieces of literature. The Peckerwood Dentist and Momma's Incredible Powers - A custom term paper on The Peckerwood Dentist and Momma’s Incredible Powers can be ordered from Paper Masters. Displacement and “I Know Why the Caged Bird Sings” - This Research Paper Sample discusses Maya Angelou's "I Know Why the Cage Bird Sings" and the topic is Displacement. Slave Woman - Recent literature in the area of women's history has illustrated that black women played an influential role at defining the term “free woman”. Women of the Civil Rights Movement - Numerous local groups of African American women had grown up across America during the 1890s. Paper Masters writes custom research papers on an I Know Why the Caged Bird Sings Summary and examine the first volume in Maya Angelou’s autobiography series.